With seven successful Exchanges in 2017, the CLO Exchange Series brought together an incredible lineup of change makers that are transforming the future of workplace Learning. Connecting on issues that matter most, leaders in the industry discovered the most cutting-edge technologies, evolving practices and the latest research. 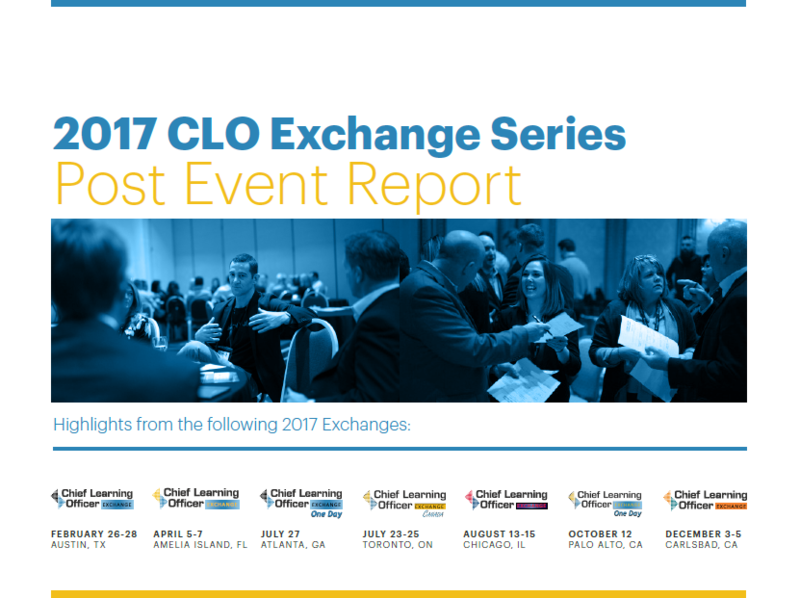 Download our 2017 CLO Series Post Event Report featuring the best moments of our CLO Exchanges!